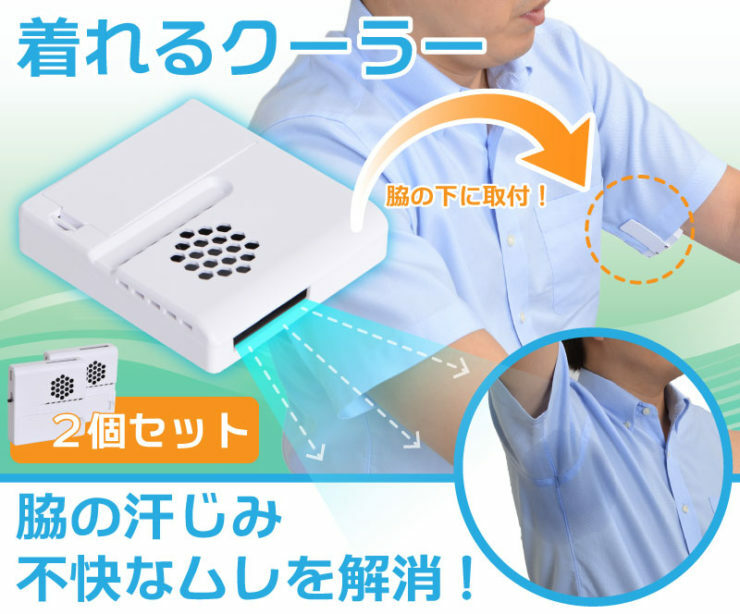 Pit Stains Be Gone: A Little Clip-on Fan For Your Armpits | OhGizmo! By David Ponce on 07/15/16 • Leave a comment! Are you the sweaty type? Does it give you anxiety knowing you’ll inevitably end up with a giant sweat stain in your armpits at some point during the day? Don’t laugh, the struggle is real for millions of people. Mind you, this proposed cure might actually be a little more embarrassing than the problem it seeks to remedy. 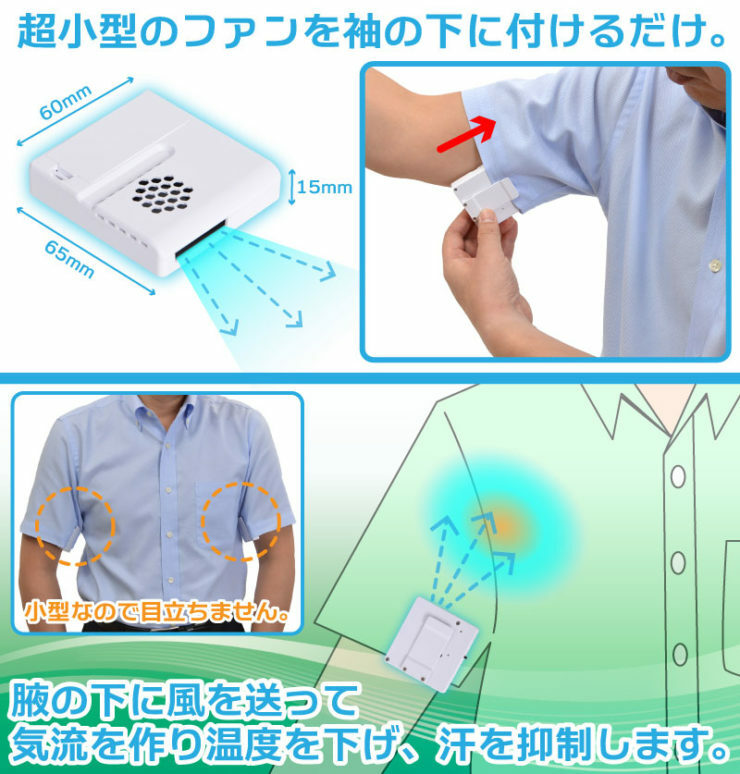 The ‘Under the Armpit Cooling Device’ (Waki no Shita Kura in Japanese) is a small battery-powered fan that clips to your clothing and blasts a stream of air that should help keep the sweat away. It’ll keep working between 5 and 9 hours, depending on which of the three speeds you select. 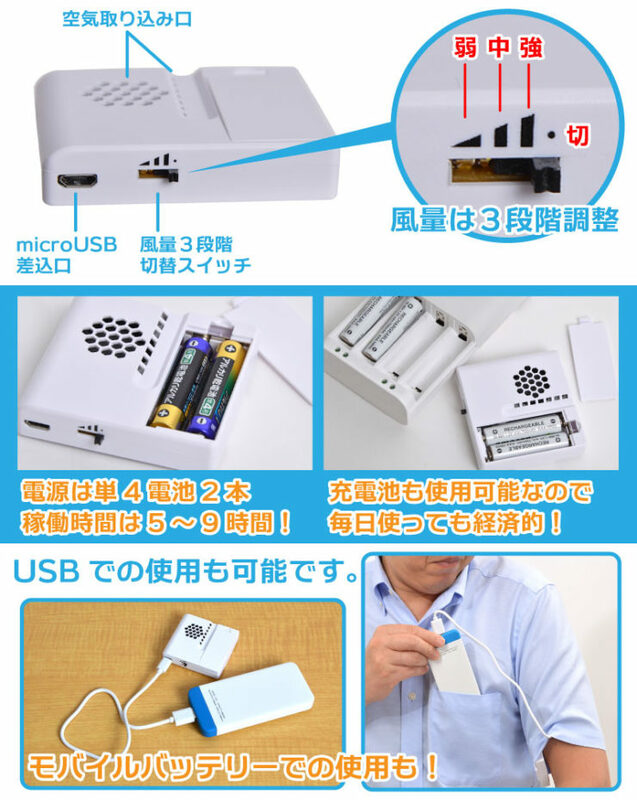 Charging is accomplished via USB, or through an optional portable battery pack. It’s about $40 for the pair and is a real product you can actually buy now. Whether you should, well, that’s a different story altogether.